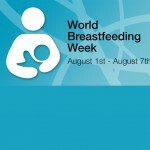 Emma Reynolds, Labour MP for Wolverhampton North East, is supporting World Breastfeeding Week, which this year begins on Wednesday 1 August.To mark World Breastfeeding Week a campaign to promote the benefits of breastfeeding is being run by City of Wolverhampton Council. Emma is encouraging mums across Wolverhampton to show their support to by sharing their stories and thoughts about breastfeeding on social media, using the hashtag #WolvesBFF and #WBW2018. There will be a free event for new parents and mothers-to-be at Low Hill Community Centre, Kempthorne Avenue, from 1pm-3pm on Tuesday 7 August. Parents will be able to meet other parents, share experiences and learn new skills. Refreshments will be available, along with activities to keep babies and toddlers occupied. Emma said, “I will be attending the event on 7 August to talk to other mums and mums-to-be about the benefits of breastfeeding. Breast milk is perfectly designed for babies, and helps strengthen their immune systems. “The evidence shows that babies who are breastfed are less likely to develop illnesses including gastroenteritis, respiratory and ear infections. The health benefits can even be seen years later. Babies who were breastfed are less likely to be obese or suffer from high blood pressure or high cholesterol levels when they become adults, all of which are underlying causes of heart disease. “I know from breastfeeding my baby son Theo last year that breastfeeding also builds a strong bond between mum and baby. However, I also know from experience that it isn’t that easy to breastfeed and for some mothers and babies it sometimes just doesn’t work. Combination feeding can sometimes be the best option. “I am very pleased to see that more and more places in Wolverhampton are now breastfeeding friendly. But it wasn’t so long ago when new mothers did not feel comfortable, and weren’t encouraged or supported to breastfeed in public.